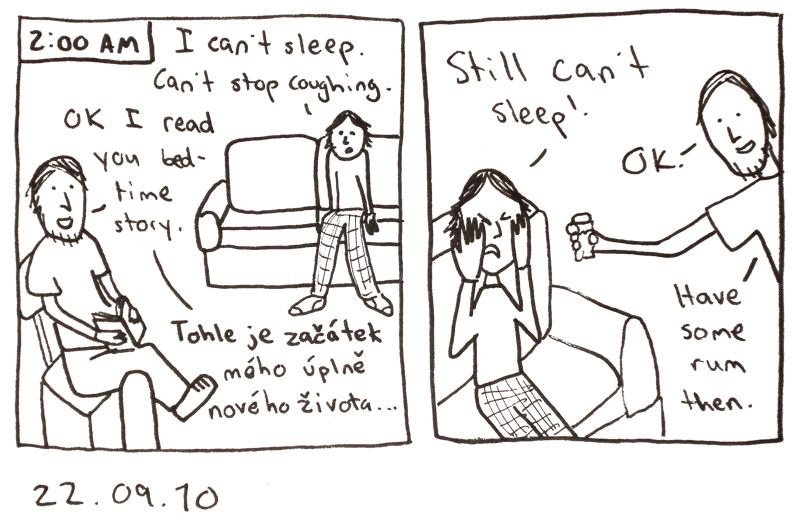 My Czech flatmate sure knows how to take care of me. There is some genuine Czech culture for you: when plan A doesn't work, switch to plan Alcohol! My flatmate just looked over at me drawing this and said with half amusement, half fear in his eyes, "it's me again?"